Header image by ElStrawFedora on Deviantart. Pokémon Sun and Moon released today, and the word is no matter which version you choose, they're both excellent. Pokémon and Overwatch have been in the news a lot recently since they both had a huge game launch earlier this year. Last week, Overwatch players got a giant patch that introduced a new character and lots of other modes. This week, Pokémon players will finally get to explore the Alola region and check out some new characters of their own. Coincidentally, today marks the beginning of a free weekend in Overwatch, so those who'd like to check out the new features can do so even if they haven't bought the game. 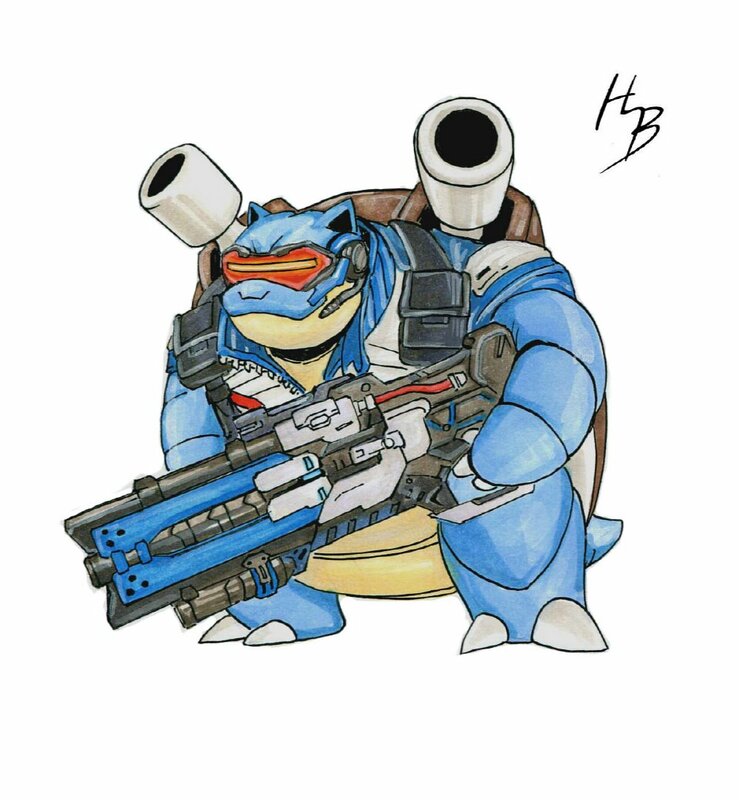 Back in late May when Pokémon GO and Overwatch were just starting out, I started a series of articles looking into what might happen if these two franchises were to cross over. 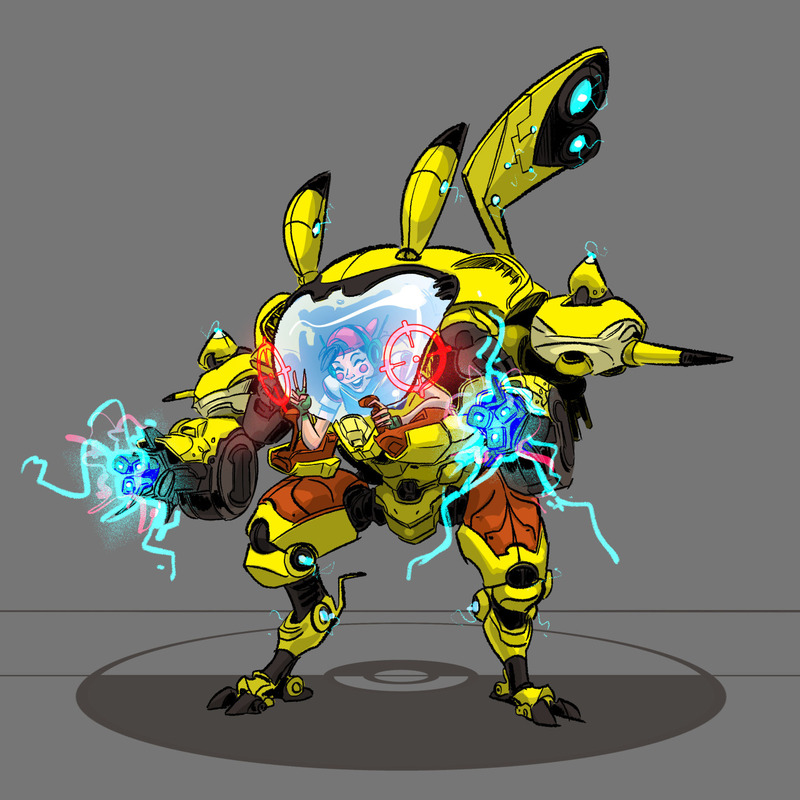 What Pokémon would the Overwatch agents use against one another? One of Overwatch's strengths is that you can tell a lot about the attitude and background of its heroes just by looking at them. 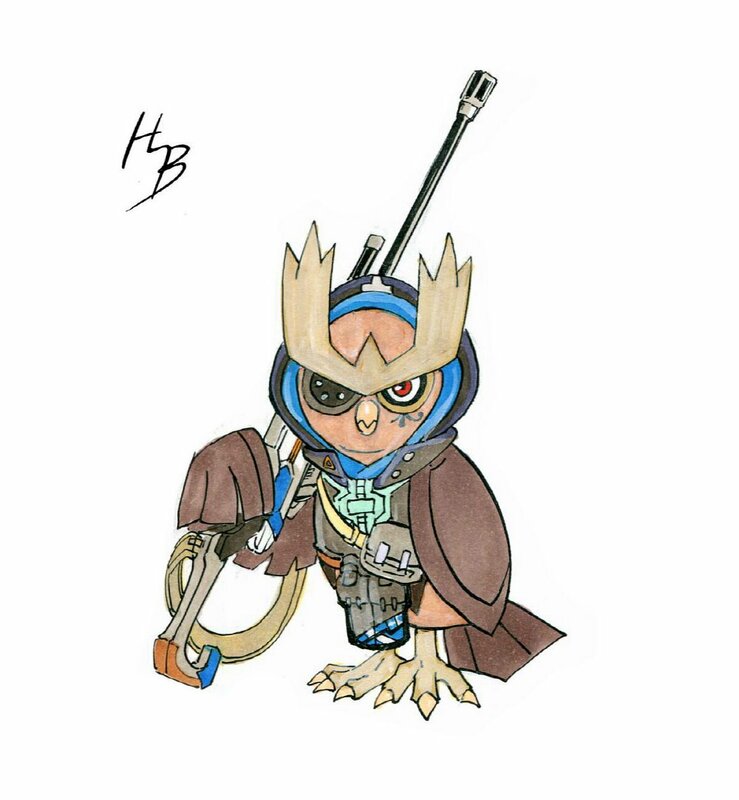 Overwatch and Pokémon have a lot in common, with large pools of diverse, iconic characters. 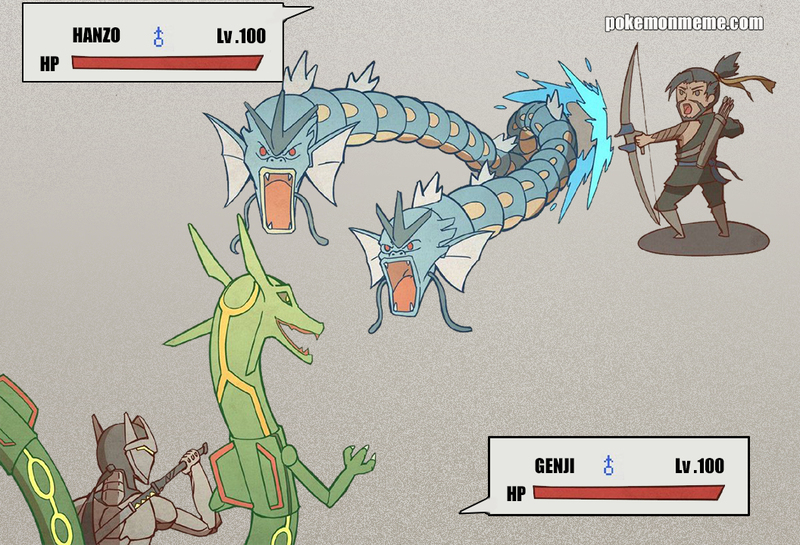 They even form into groups of six to battle other teams! The rules I set for myself were as follows. 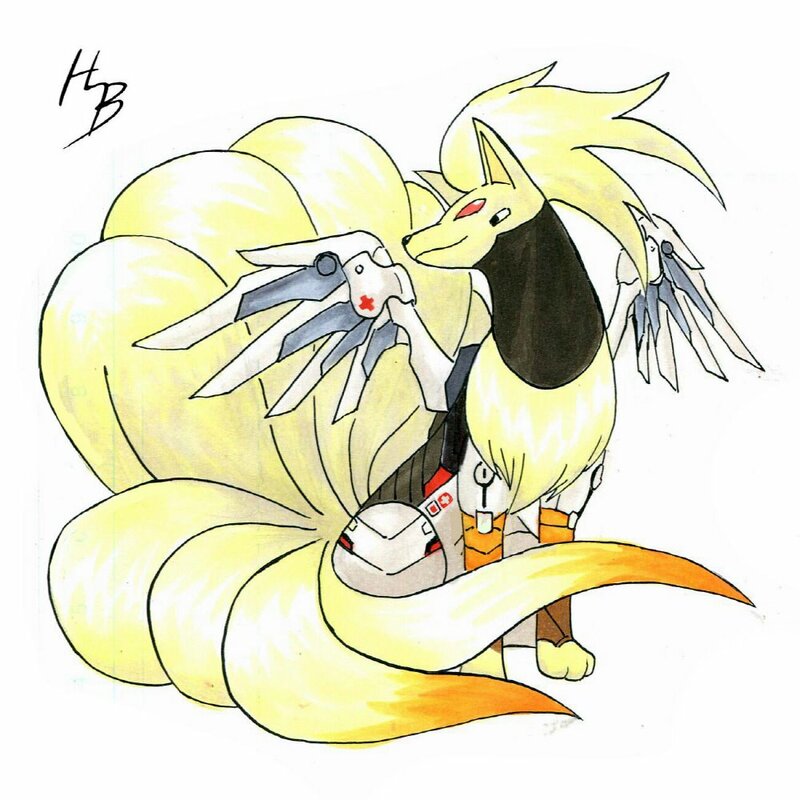 Each of Overwatch's heroes will be assigned a group of three Pokémon based on their lore, their abilities, and their personality. No two agents can use the same Pokémon. None of the new Pokémon were available when this was written, so creatures like Mimikyu won't be showing up on anyone's team just yet. 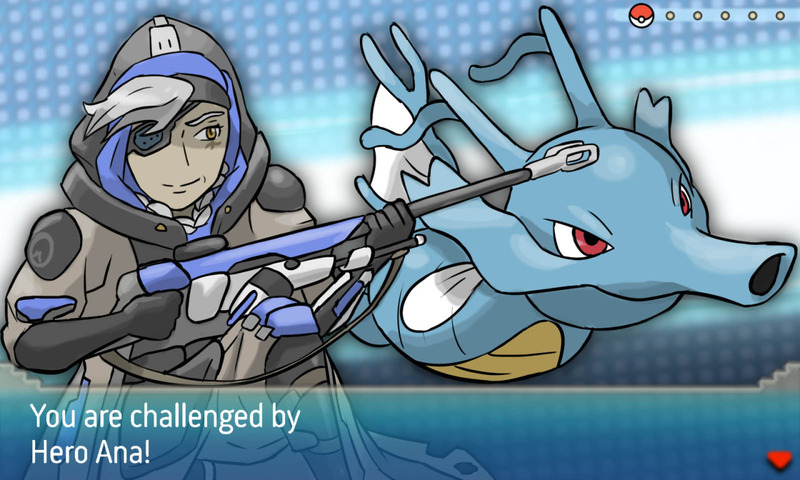 I'll explain why the Overwatch character might select these Pokémon, provide analysis of the trainer's team including strengths and weaknesses, and then the characters will battle. When I initially finished the series, two of the characters that are available now hadn't been released yet. Today I'll be taking a look at these new characters, Ana and Sombra. There's a complete set of these posts for all of the other heroes, including a battle royale that ended with a surprising victor. If you're interested in seeing more like this, you can check out the earlier entries below. I added quite a bit of crossover artwork I found at the end of the article, so if this subject matter interests you, take a look at the bottom of the page for some work by talented artists on the same topic. Ana image and the header are both by ElStrawFedora. 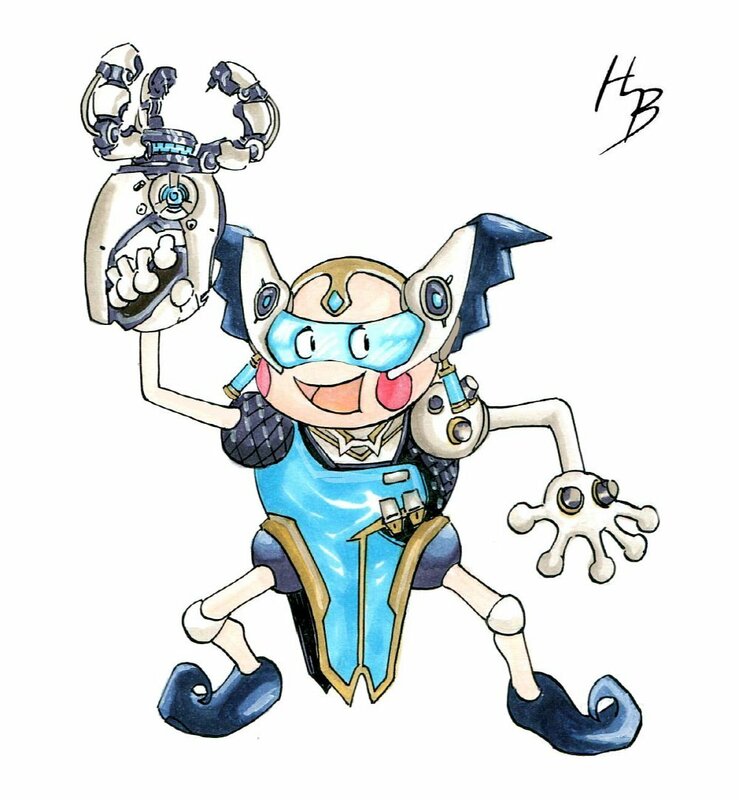 They've done a whole series of Pokémon/Overwatch crossovers. Check it out! Reason: Ana is the Overwatch team's sniping support, and uses her Biotic rifle to heal allies and harm enemies. 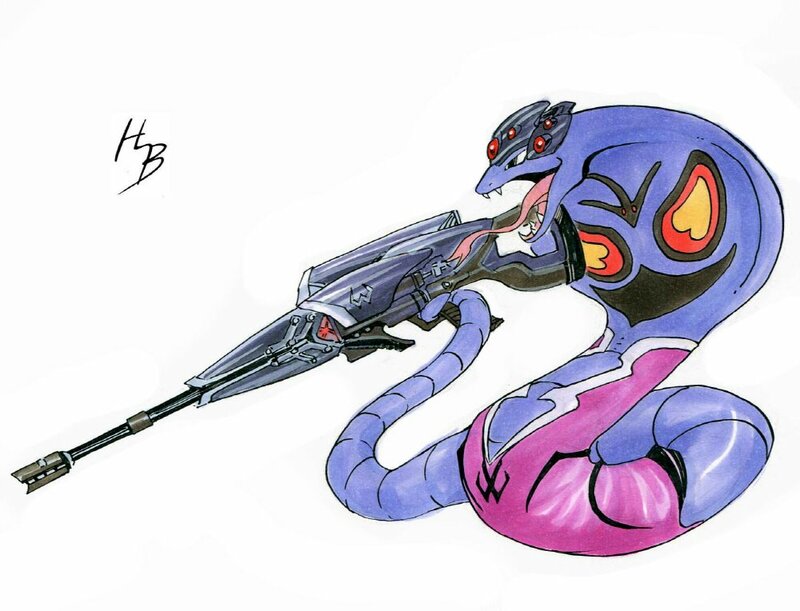 Kingdra and its evolutionary line can all share the Sniper ability, and Kingdra is the strongest of the line. One of Ana's defining characteristics is her age and experience, and you can tell just by looking at Kingdra that it's lived through some tough times. 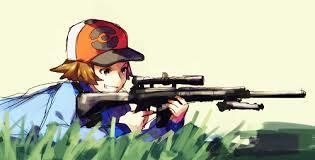 If you try and snipe Pokémon with a real gun though, you're probably doing it wrong. 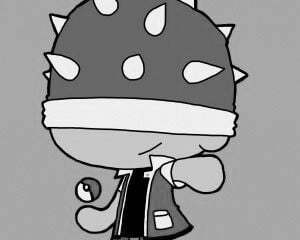 Reason: Duskull and its evolutionary line all share a design element in that they each have one eye. Ana shares this trait; she hesitated once while on a mission, and it cost her one of her eyes. Ana was one of the original members of the team, but was thought dead and went into hiding when the world turned against Overwatch. She's been on the run ever since, but couldn't stop helping people -- sort of a one-woman A-team. She's referred to by other characters as a ghost, and Dusknoir is one of the strongest Ghost types around. Much like Kingdra, it's the most highly evolved version in its line, implying that it's lived for a while and gained considerable experience. Coincidentally, it takes a Reaper cloth to evolve Dusclops into this final form, and we've seen that Ana has some history with Reaper herself. Reason: Ana doesn't share fellow oldster Soldier: 76's disdain for new ideas, but has an appreciation for the classics. Kangaskhan was one of the original 150 Pokémon, and it gained the ability to Mega Evolve in the sixth generation. All Kangaskhan are females, and each of them is a mother. Ana wasn't around while her daughter Pharah was growing up, but kept a memento, a holographic photograph, as a reminder. 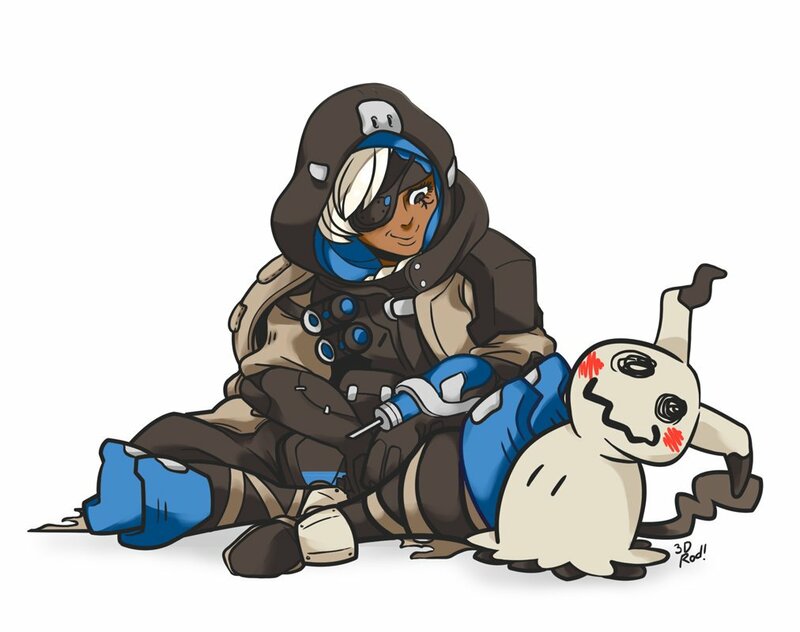 Now that they've reconnected, Ana and Pharah seem to have bonded, just as Kangaskhan forms a Parental Bond with its joey. Analysis: Ana has a strong team that'll be difficult to overcome. Her complementary Ghost and Normal type Pokémon can deal with almost any situation, and Kingdra's typing means it resists or takes normal damage from everything but Fairy types and other Dragons. All three of her Pokémon have decent defenses and high HP, so she'll be able to take a few hits while assessing the situation, then react accordingly. Reason: Sombra's best known as a hacker, and her ability in Overwatch disrupts enemy players, keeping them from using their abilities. She's been in hiding for a long time, keeping to the shadows, collecting information and waiting for the most strategically advantageous moment to reveal herself. Rotom's a literal ghost in the machine, a Pokémon that possesses electrical devices and takes them over, sort of like the hackermagic employed by Marcus in Watch Dogs 2. 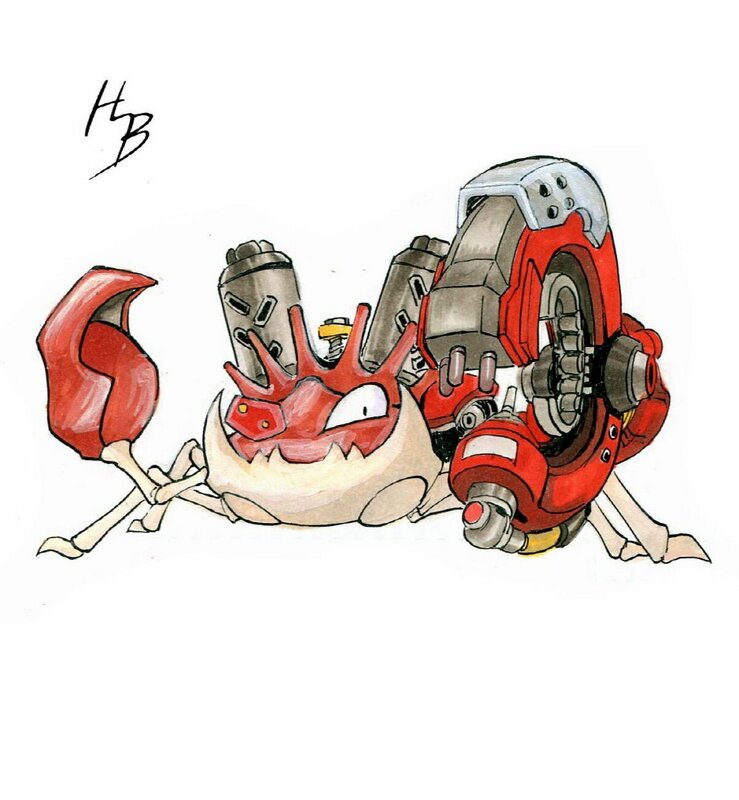 Although Rotom can change its element type and form to one of six, I think Sombra would want her Rotom to stay in Ghost form, ready to assist her in taking over any machinery she needs help with. 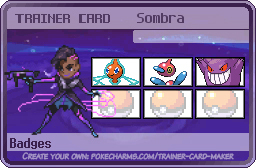 Reason: Sombra moves as easily in cyberspace as she does through the real world, a trait she shares with the Porygon evolutionary line. 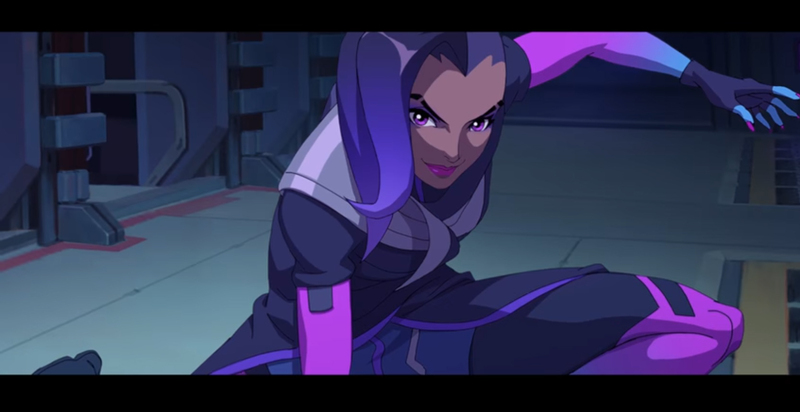 Sombra's origin story shows that she was nearly caught once, which is why she decided to give herself a hardware upgrade. Porygon-Z requires not one but two upgrades from the standard Porygon before attaining its final form. It's a highly evolved digital creature used to working with all sorts of computers, though occasionally it messes up. Reason: Sombra's moveset in Overwatch includes invisibility, the ability to be in two places at once, and the tools to prevent opposing players from using their abilities. They have more in common than just their shared spiky purple hair, as both Gengar and Sombra love to play combat tricks. Gengar can use Disable and Toxic, and it was depicted in the show and the original games as staying invisible most of the time to aid it in playing pranks on people. The player required a Silph Scope before they could even see any of the ghosts in Lavender town. What's more, Gengar is a highly upgraded form of Gastly, and it requires a fair bit of technology to get one, since you have to trade a Haunter electronically to make it evolve. Analysis: Ghost types, like Dragons, are super effective against themselves, and Sombra's team may be hurt by having two Ghost types featured so prominently. That said, having Porygon-Z as her support means she may be able to bait out a Ghost move and switch it in to counter, since its Normal type gives it immunity to Ghosts. Rotom's ghost form is weak but has the Levitate ability, meaning it gains a useful immunity to Ground damage. 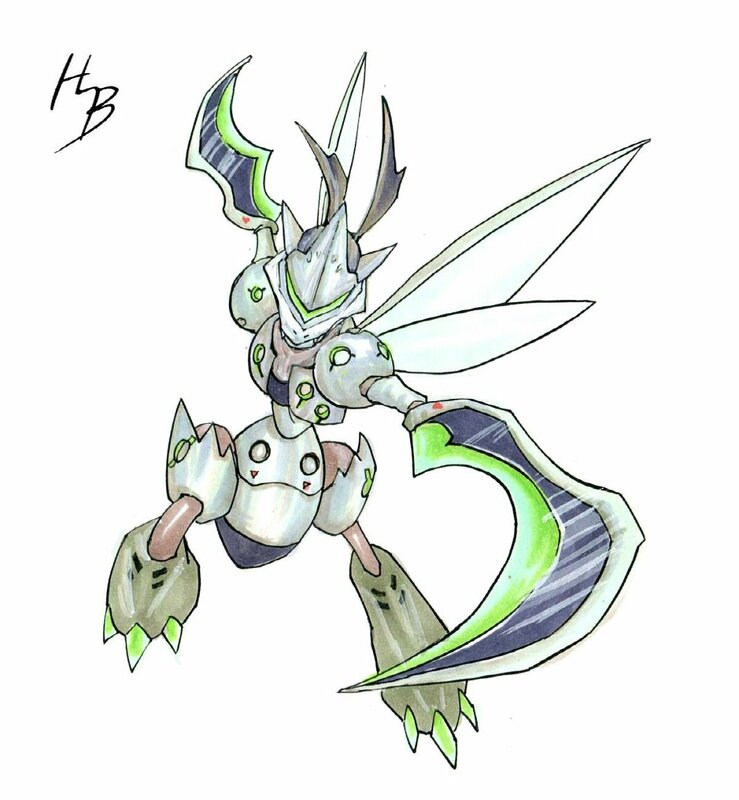 It also has access to lots of combat tricks, and should be able to paralyze and confuse an opponent before it gets taken out. Porygon-Z tends to be underrated and has the stats to tank an attack and return fire with a wide variety of elements. Gengar's Poison type has always been trouble and gives it an unwanted weakness to Psychic moves, but gives it access to Toxic. Fortunately, it also has the Levitate ability, though this changes to Shadow Tag and prevents the opponent from switching their Pokémon out when it evolves to Mega Gengar. 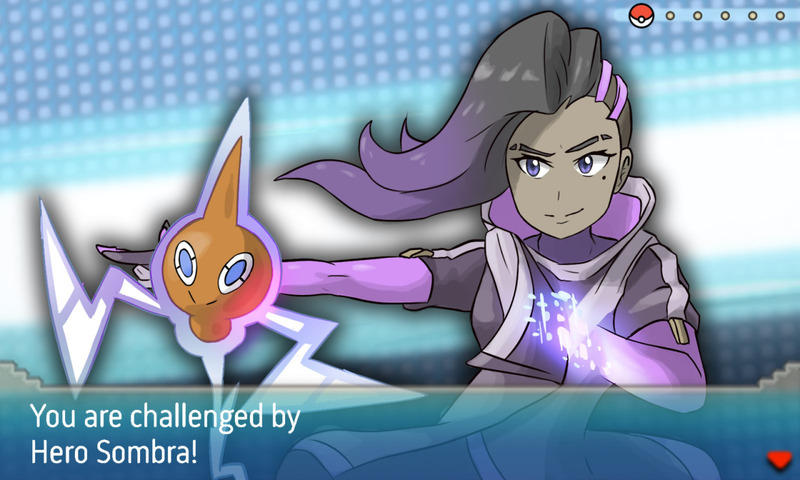 Doing this means Gengar will gain a weakness to Ground type moves, so Sombra should make sure the opponent isn't packing any before she triggers the evolution. With the teams set, these ladies are ready to battle. Ana's Kingdra is more than a match for Sombra's Rotom, but Rotom uses Confuse Ray as sort of a judo move, causing Kingdra to become confused and hurt itself. Rotom manages to land paralysis on Kingdra as well before Kingdra connects with enough Water moves to take it down. In its weakened state, Kingdra falls quickly to Porygon-Z, and Ana switches in her Dusknoir to counter. Dusknoir can't hit very hard, but has high defenses and is good at stalling while damage over time moves like Will-o-wisp and Curse damage the opponent. Curse cuts Dusknoir's own HP by half when used though, so both Dusknoir and Porygon-Z go down in the same round. 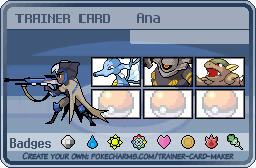 It comes down to the final creature for both trainers, and Sombra thinks she has the advantage when she sees Ana throw down Kangaskhan. Her plan is to hit it with Gengar's Toxic and just run out the clock, since Normal types and Ghosts can't usually hit each other. Unfortunately for her, Kangaskhan can learn the Dark type move Crunch, and its Parental Bond means that it hits twice, dealing massive damage before Gengar can Disable it, ending the battle with a win for Ana. And that's that! 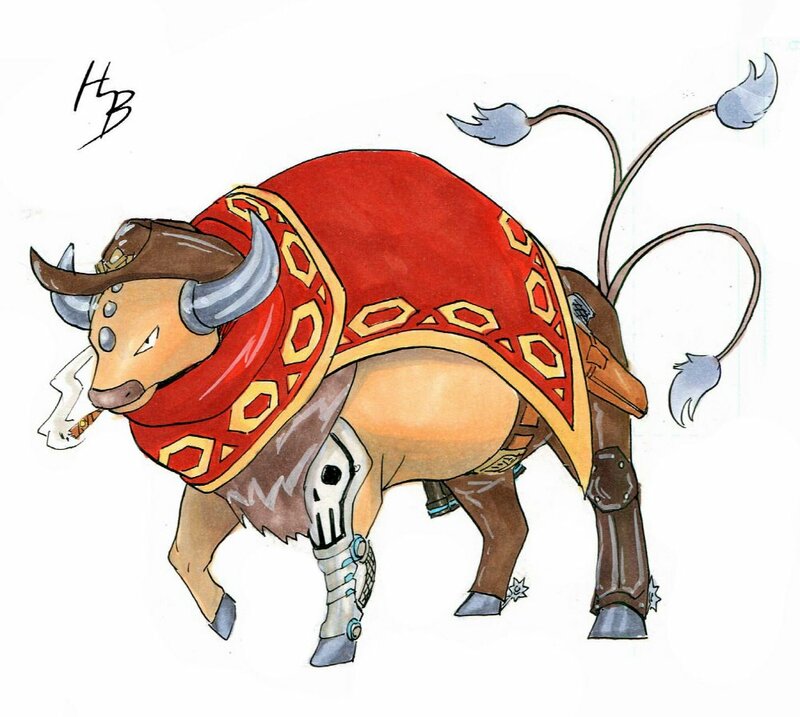 There's been a lot more fan art combining these two franchises since I first started writing these, and I thought you might like to see some of the mashups I found while doing research for the article. 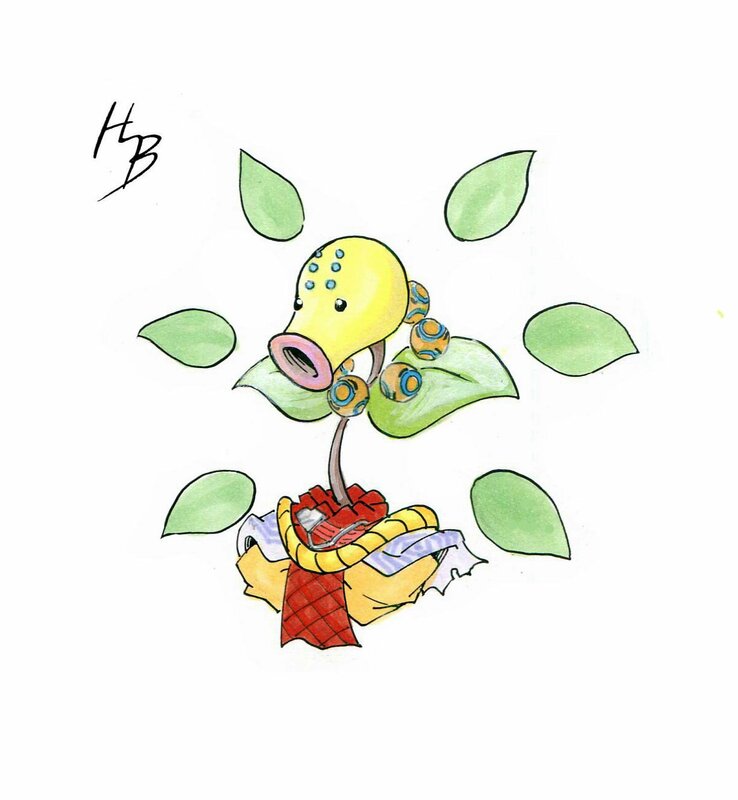 If you liked this or think one of the trainers should have used a different Pokémon, let me know in the comments. 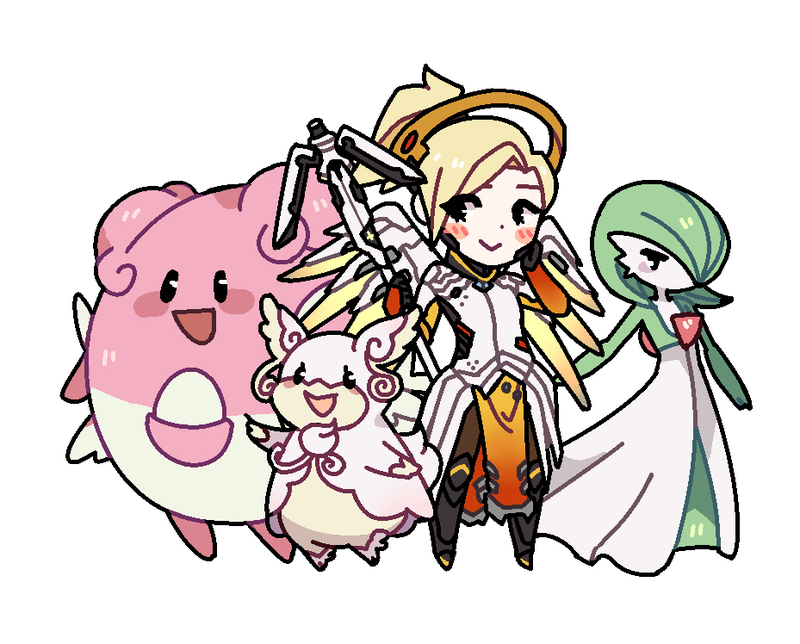 Mercy's team, by Vy!! Source. 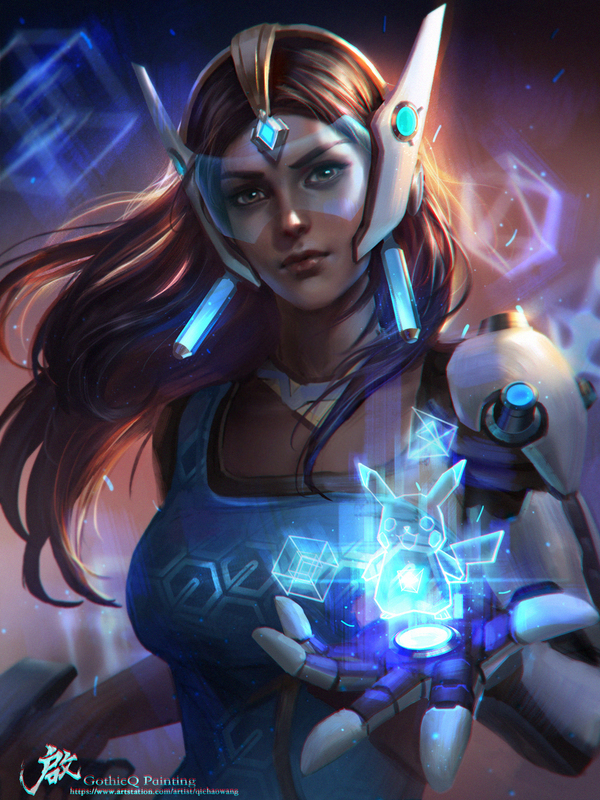 Symmetra and Pikachu by Qichaowang. Source. 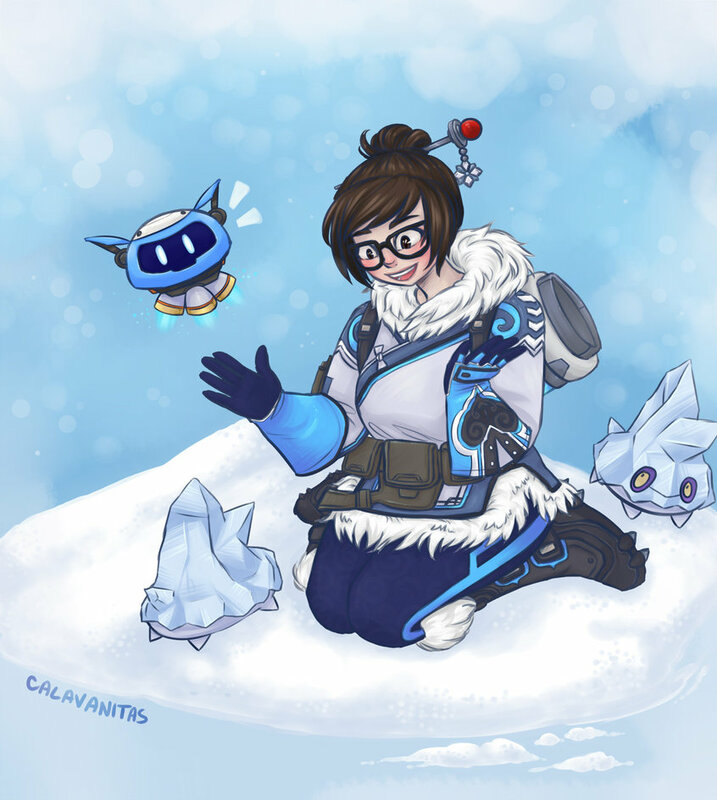 Mei's team by Calvanitas. Source. 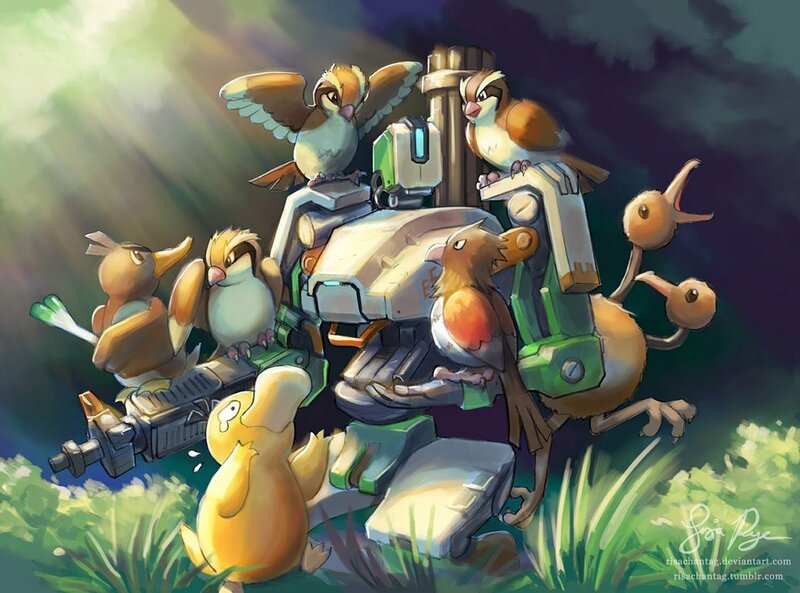 Bastion's Team by Risachantag. Source. The following are all by a Korean artist named Han Seok-bum. There's a few more on their page if you like these. 3DROD made this back when Ana first came out, well before Sun and Moon released. Finally, here's D.vaChu, by Frankie Franco.